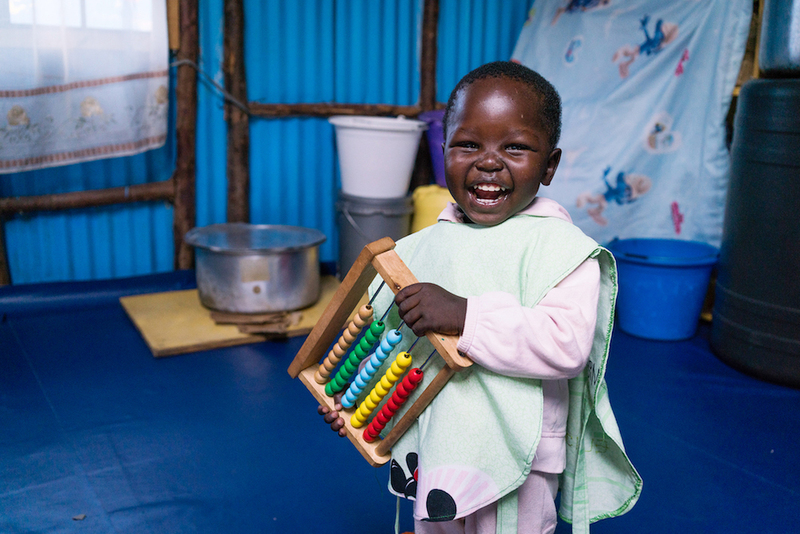 Five things are needed as part of a child's basic care: good nutrition, health care, learning, play and protection (and of course love when providing all of these). By the time a child reaches the age of five about 90% of its brain development is complete. It is clear that busy stimulation and learning is needed from day one to give every child the best start in life. In these early years, a child's brain develops 700 new neural connections every second - the highest rate of development during an individual's lifetime. Thankfully, with an increased focus on early years and new research our knowledge of brain development and the inherent potential of all children is growing almost as fast! So the excuses need to stop - we cannot ignore investment in this area any longer. Children must be given the chance to have healthy, happy and productive lives - no matter who they are or where they are born. It is unconscionable to do otherwise. A promise has been made. The new UN Sustainable Development Goals include a target to ensure that by 2030 all children 'have access to quality early childhood development, care and pre-primary education.' And the bold new Education Commission report (released last month) has gone even further, calling unequivocally for two full years of free quality pre-primary education, citing the evidence of impact on later academic success as well as the high rates of economic return. Yesterday this was backed up the acclaimed Lancet journal, who released findings from a new paper on Early Childhood Development that revealed the stark cost of inaction. It stated that for the 249 million children who lack early years care due to extreme poverty, their adult income is likely to be reduced by around 26%. Whether or not children have access to the best start possible in life is determined by two important factors -- sheer chance and political will and resources. It comes as no surprise that the world's poorest children are missing out, so campaigners around the world are mobilising again - youth voices are calling out for their little sisters and brothers, and education, health, nutrition and care professionals alike are standing with them. The political leaders and those with deep pockets need to now follow up and begin to establish the effort and funding to make it happen. Pre-primary education currently faces an estimated annual funding gap of US$31.2 billion to achieve universal access by 2030, but still received only 1.15% of total aid to education in 2014. The World Bank is tackling this deficit head on with a special session at the Human Capital Summit in Washington DC later today. We hope the countries declaring their commitments remember that every $1 invested in preschool education can yield a return of up to $7 in later life. Innovative foundations are also lining up to play a lead role in addressing the challenge, led by led by pioneers such as the Conrad N Hilton Foundation. Let's treat all our mini citizens better so they can learn, laugh and enjoy life and grow up to be the people that look after this great world of ours. It is time for them to have the best start possible and get two years of free pre-primary education so they can achieve a brighter future. Theirworld is launching a Global Early Child Development Campaign this October. The 5 for 5 campaign will work with campaigners, Global Youth Ambassadors and Global Business Coalition for Education members to raise support for early years investment. We need to call on political leaders to step up and funders to pony up. Now's the time to stand up for kids who haven't mastered standing. And invest in their future, because it's our future too.